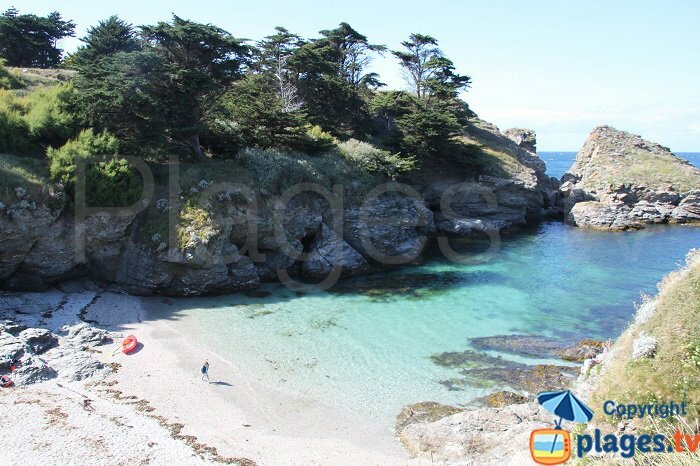 Along its coastline, Belle-Île conceals several beautiful secret coves, often known only to the regulars. They are mostly on the untamed coast, to the south and west, often in the county of Bangor. But there are other very nice ones elsewhere. 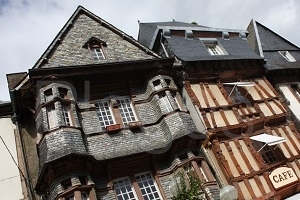 For the regulars of Plages.TV only, here are our hidden gems. But Shhh ... Keep it for yourself! 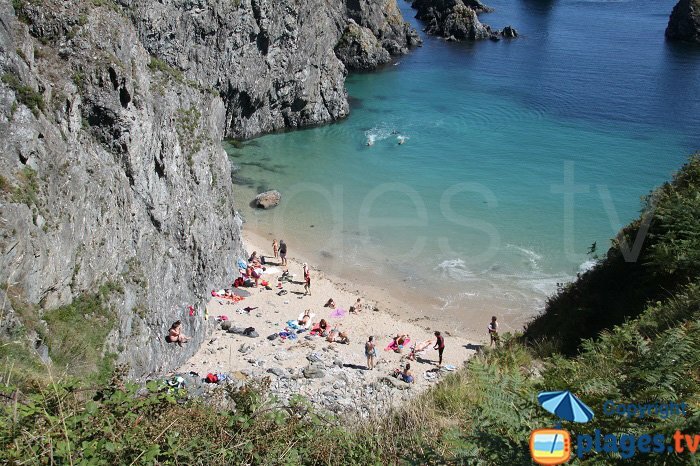 Located not far from the rocks of Port-Coton (aiguilles), the access trail is however well hidden and the path is quite tricky and not for everyone. 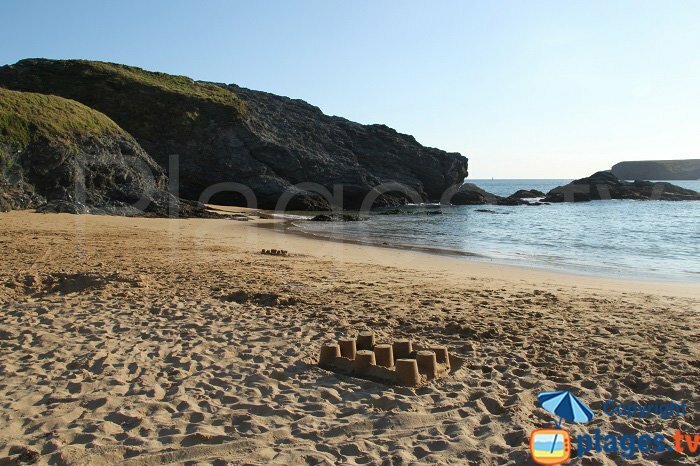 The space is further reduced by the presence of more rocks but the sea area is beautiful with other sandy coves around, only accessible by the sea. Wonderful surroundings… A jewel! Its name comes from the fact that the priests sought for privacy to bathe. There are three in Belle-Île. To find the way to Yeyew, you must really want to go! And to actually get there, you have to be motivated! A rope enables you to climb down. But the reward for all your efforts makes it all worthwhile: caves, sand and crystal clear waters ... And a little shade early in the morning or late at night. From Herlin, one of the main beaches of the island, you can see Baluden cove and this will make you green with envy. But to get there is something else! The trail (on foot, bike, or scooter at best) is a delight for the eyes: shallow moors that line the cliffs. 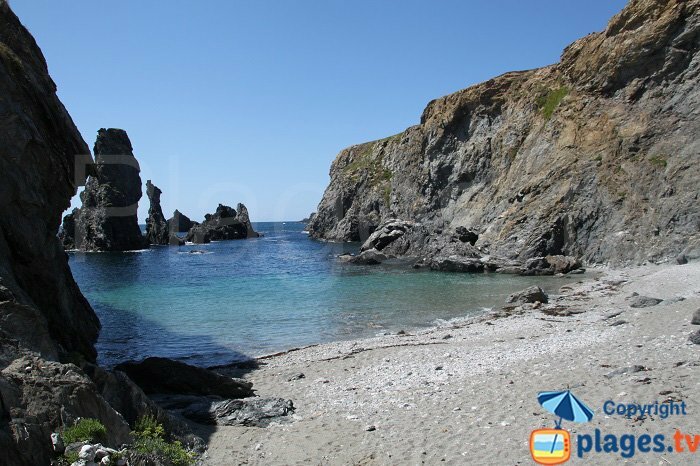 A large cove, lined with smaller ones, that takes its full value in the second part of the day. The sunsets are splendid. 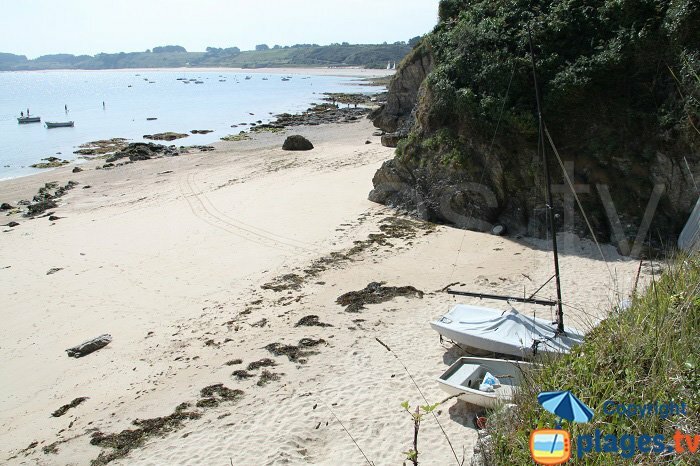 Between Poulains Point and the big surf spot of Donnant is the pearl of Petit Donnant cove. Small area beneath the golf course of Belle-Île, it is accessed easily by a large staircase. But with more than 10 people, the cove is overflowing. Dotchot looks very much like Yeyew because of its difficult access. The same rope descent more or less vertiginous, the same configurations, the same edenic impressions when the afternoon light makes the waves of thousands of shards flicker. 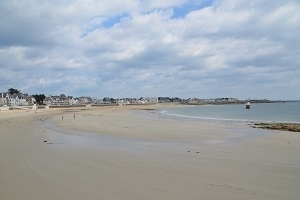 It is however the only naturist beach of the Côte Sauvage (south-west), but non-naturists are also welcome. Near Port-Fouquet as the crow flies, Canon beach is quite far away to reach by the coastal footpath. 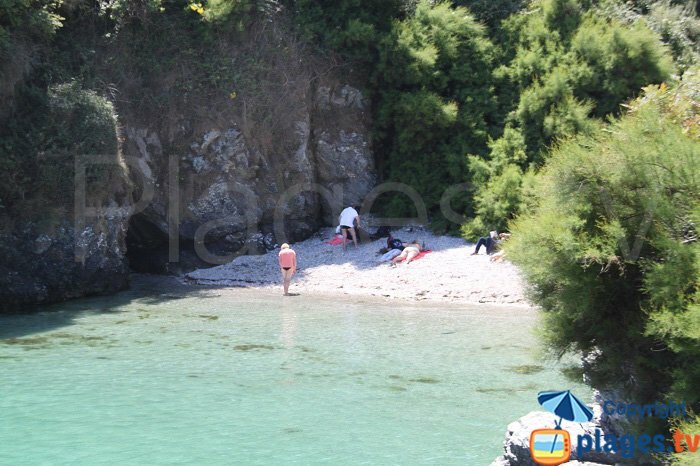 This is probably what explains the astonishing uncrowding of this beautiful sandy beach, even in the summer season. 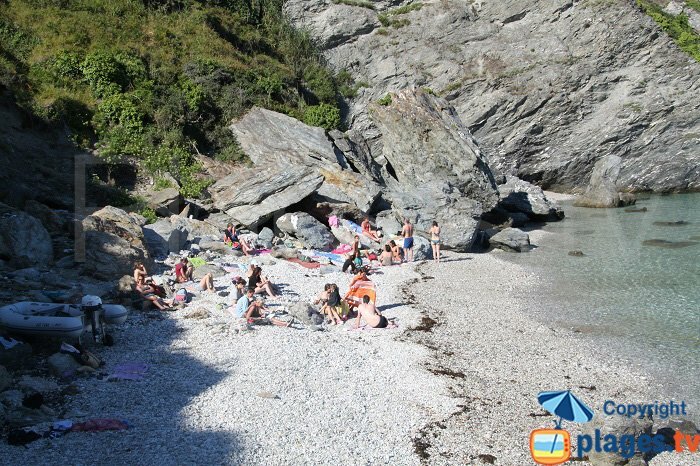 Another beach to welcome the naturism, the beach of the Armels is very close to the beach of Ramonet, very frequented. But you can only pass from one to the other by joining a dead-end and then descending a tricky path. The rocky notches hide effectively the nudists. 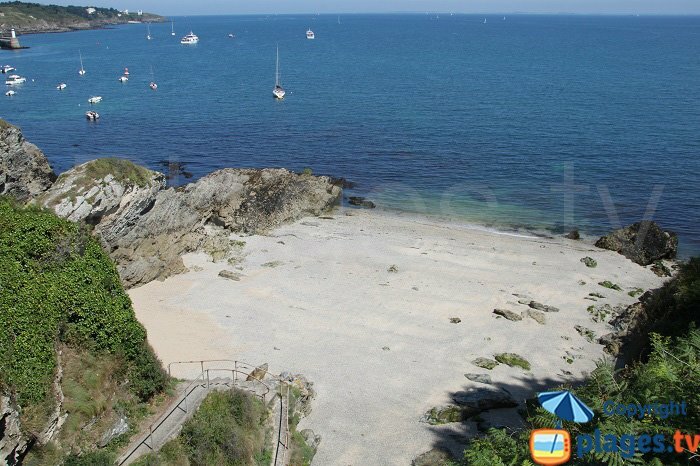 Between the vast beaches of Grands Sables and Bordardoué are several coves well-hidden and protected from the wind. You still have to find the right path. 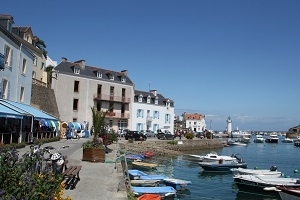 All the pleasures of small Breton beaches are found there, especially that of shore fishing. 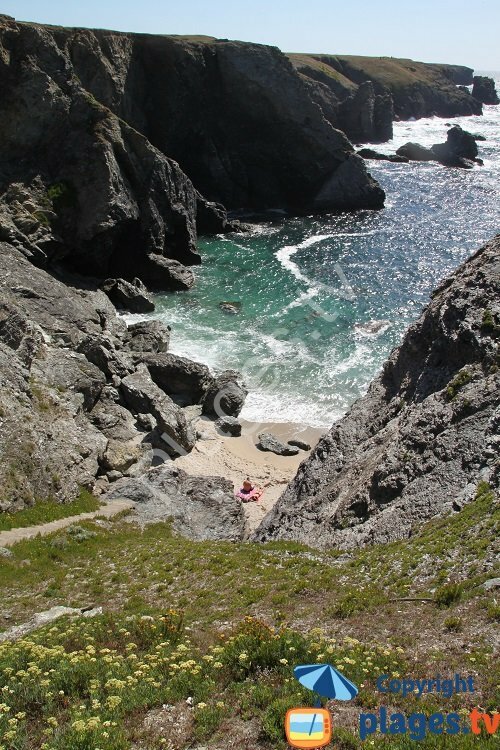 This cove with an outstanding view is a little dangerous to access, which explains the fact that it is always deserted. 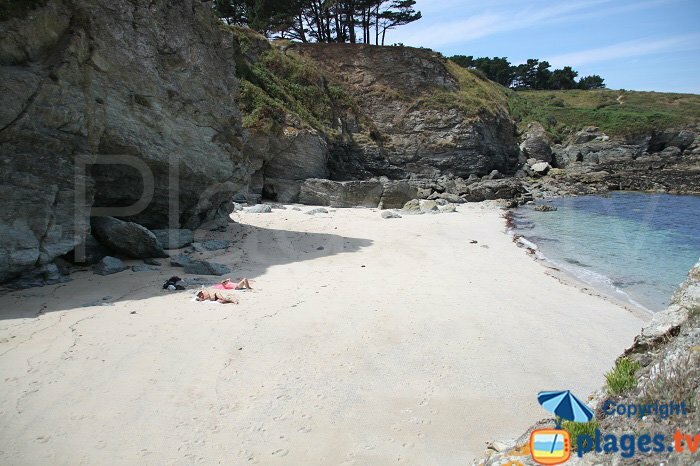 Although located near the rocks of Port-Coton, the most visited place of the island, repeatedly painted by Manet. A true necklace of coves these Galeres, difficult to access but often accessible with each other at low tide. 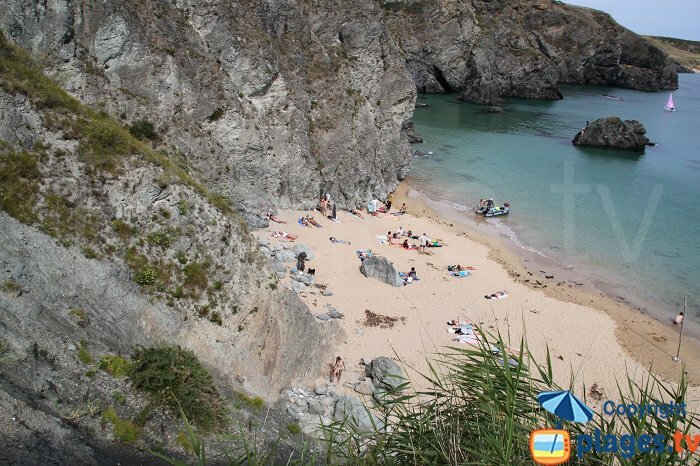 This difficulty combined with the multitude of nooks, caves, gullies make it an ideal beach for naturism (tolerated). The sand is fine like icing sugar and it is an excellent fishing spot. Because of the shade, the beach is to be preferred during the first part of the day. 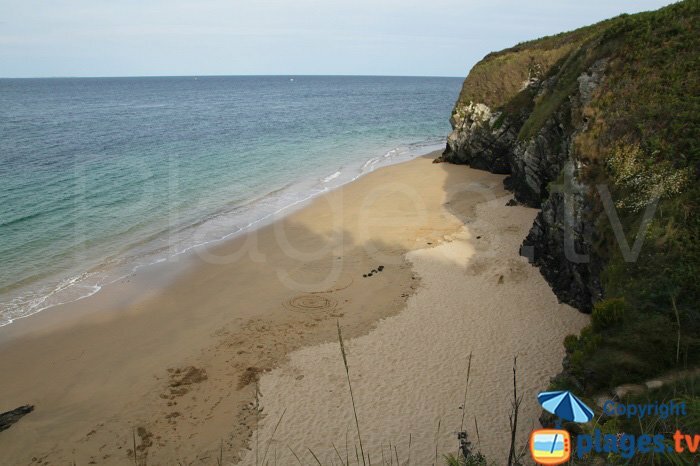 Next to Poulains Point, Porh Penhoët passes almost unnoticed and it is a good thing: turquoise waters, fine sand, trail that slowly descends from the Poulains car park in the hollow of a valley ... Demands a little effort, but well worth it so much so that it is difficult to leave. 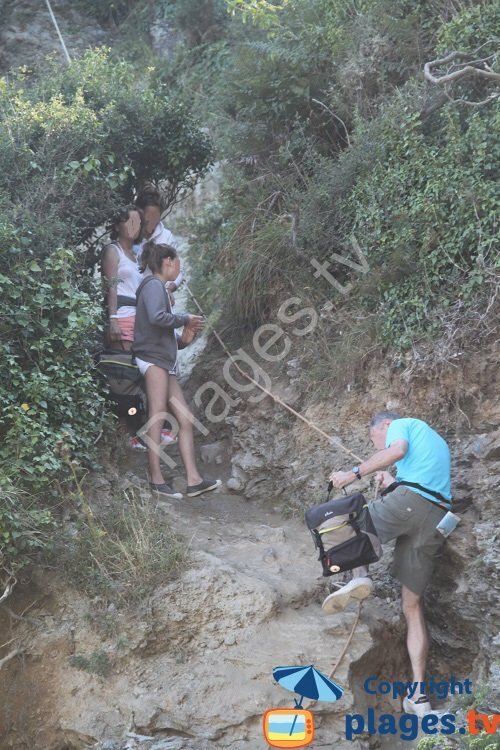 All the "Curés beaches" are hidden little jewels. The priests discovered and used them to preserve their sacerdotal modesty. 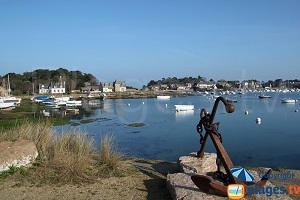 "Port Belloc" is a deformation of "Porh Bellec" which means cove of the priest in Breton. This one is no exception to the rule: harsh, nice setting, but we can put ten priests, at most. Note the pretty blue-green water.